In this shocking episode, Kait and Renata have their first-ever white male guest, Renata’s brother Reid, to discuss Rush Revere and the Brave Pilgrims by noted white male Rush Limbaugh. In this book Rush Revere, an irresponsible substitute teacher/iced tea mascot and his talking, time-traveling horse take children of an alarmingly indeterminate age back to meet the Puritans. Listen now to learn about how much the Pilgrims hated socialism! Candy pairing: Kait says Mary Janes, Reid says Flags of Freedom, Renata says Boy Scout popcorn. Here’s what we suggest instead of/in addition to reading Rush Revere and the Brave Pilgrims by Rush Limbaugh. 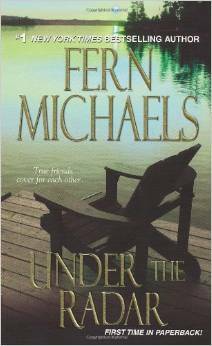 Listen to the podcast to hear us talk about some of these titles in more depth! Kait, Renata, and their guest, practicing misandrist Naomi, read Under the Radar by Fern Michaels and questioned the motives of the vigilante Sisterhood. You’d think a group of women dedicated to rescuing women from abuse would have sympathy for the forced sister wives of a polygamist cult, but as we discovered–you’d be shockingly incorrect about that. Listen now and help us figure out what all the pumpkins were for! PS: This episode ran longer than usual because this book has approximately as many characters as Game of Thrones and we needed time to discuss them all. We’re sure you’ll understand. Candy pairing: Kait says Starburst Fave Reds, Naomi says pumpkin spice M&Ms, Renata says chocolate Viactiv chews. 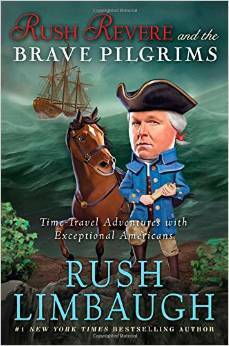 Coming up next: Rush Revere and the Brave Pilgrims by Rush Limbaugh.